With physical and online information security always growing stronger and harder to crack, fraudsters gravitate toward the weakest link in your security—your contact center and voice channels. For many years, our annual fraud reports have shown that fraudsters increasingly exploit the phone channel. Fraud rates continue to increase every year, and this year is no different. 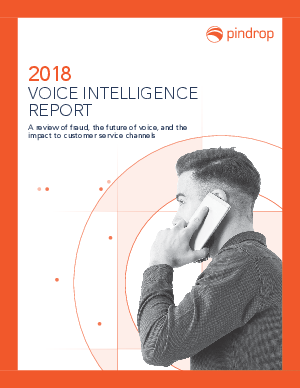 Between 2016 (1 in 937 calls) and 2017 (1 in 638 calls), the overall voice channel fraud rate increased by 47%, continuing on the upward trend from last year 113% increase.1 From 2013 through 2017 we have seen the fraud rate climb over 350%, with no signs of slowing down. It is important to note, that some verticals (i.e. Retail) experience even higher fraud rates than shown here.